The Charlie Brewer Slider Grub is a long-time favorite for anglers across the country. 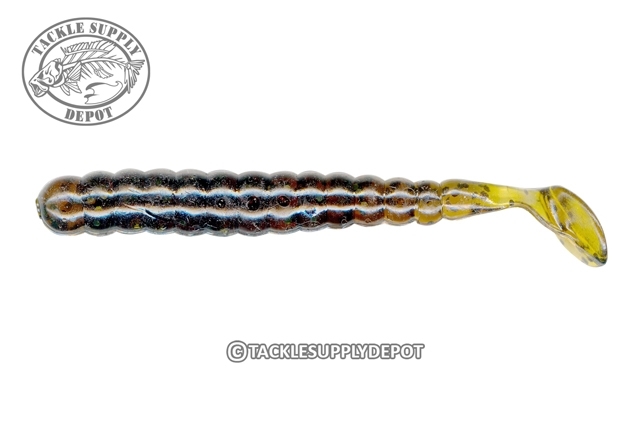 Excellent for Smallmouth and Largemouth Bass alike; the Slider Grub is a finesse grub that features a high-action vibra-tail which produces an irresistible lifelike wobbling action when slowly swam on a jig head. Rig on a Slider head for a deadly weedless approach or on a traditional open hook and slowly swim down shorelines and over structure.